After we have the stiffeners cut from the stock, we have to trim 7 out of the 8 per side to fit the rudder because it gets smaller towards the top. 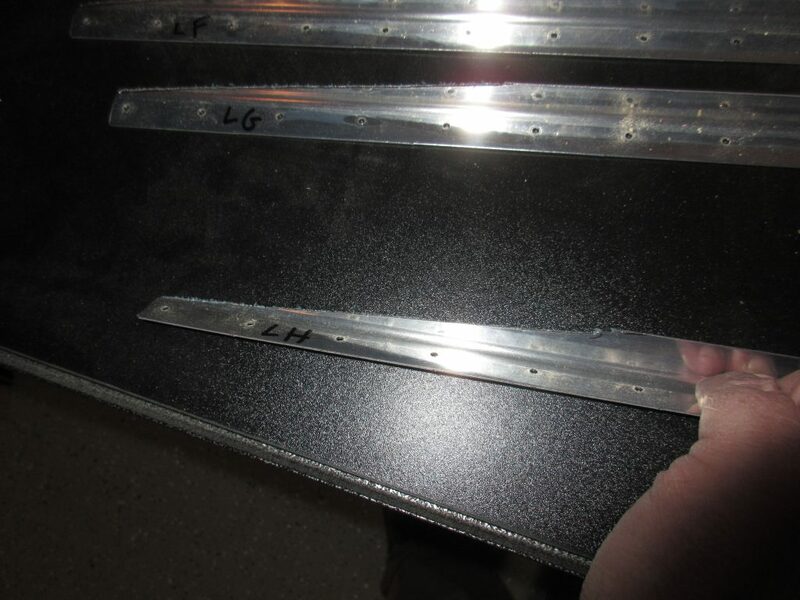 In the RV-7, Vans has made this really simple: You cleco on the stiffener and then mark the hole on the forward edge that is the closest to the spar, and then trim off the excess. It’s important to note in the plans, that we need to leave a 1/4″ edge distance from that hole which I did. 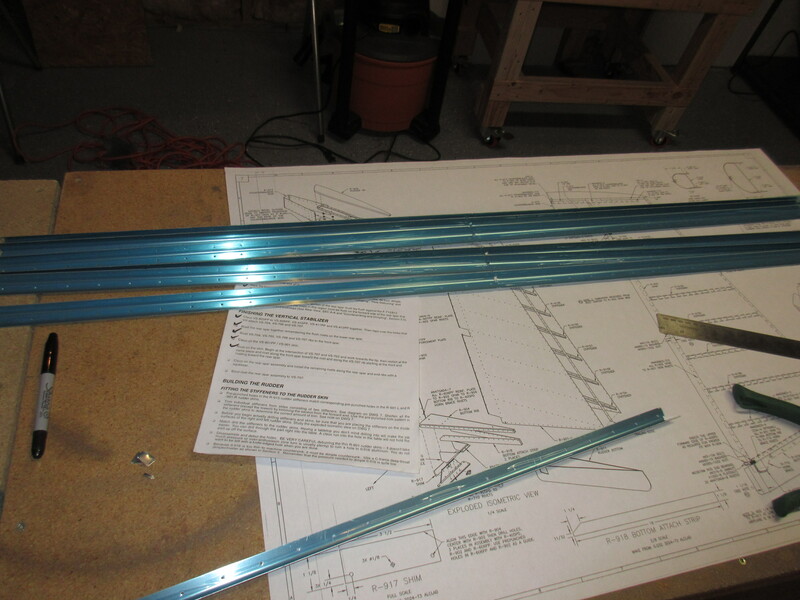 I then used the non-trimmed stiffener as a template to mark the cuts for the end angles. Repeat this until you get 16 stiffeners and you are good to go! Next up was to cleco the stiffeners to the skin to match drill. I started with the left side, marked my stiffeners and skin and then match drilled them right down into a sacrificial piece of particle board to hold everything secure. I did the same to the right side. After everything is match drilled, I disassembled everything so I could prep the edges and debur the holes. This is going to take some time, so I only started on the left side stiffeners. 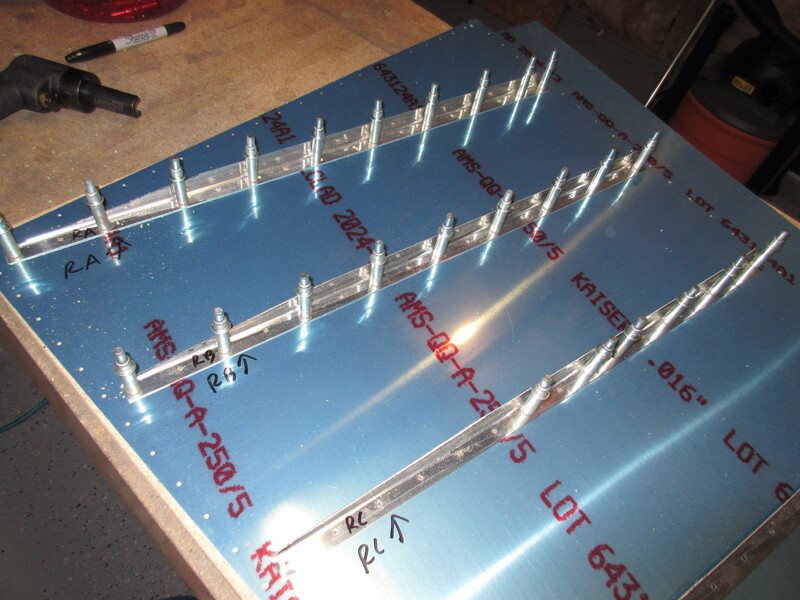 I was able to round off all the corners of the stiffeners, as well as knock down some really rough edges. 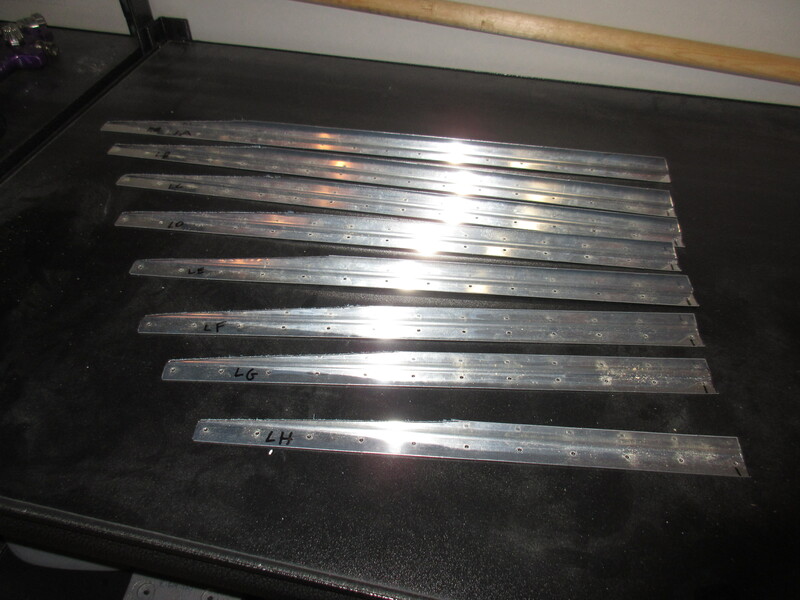 All 8 of the left stiffeners are ready for deburring, and then a trip on the scotchbrite wheel to smooth them out. But, thats work for another session, I have already put in 4 hours tonight cutting out the stiffeners. Tagged Rudder. Bookmark the permalink.